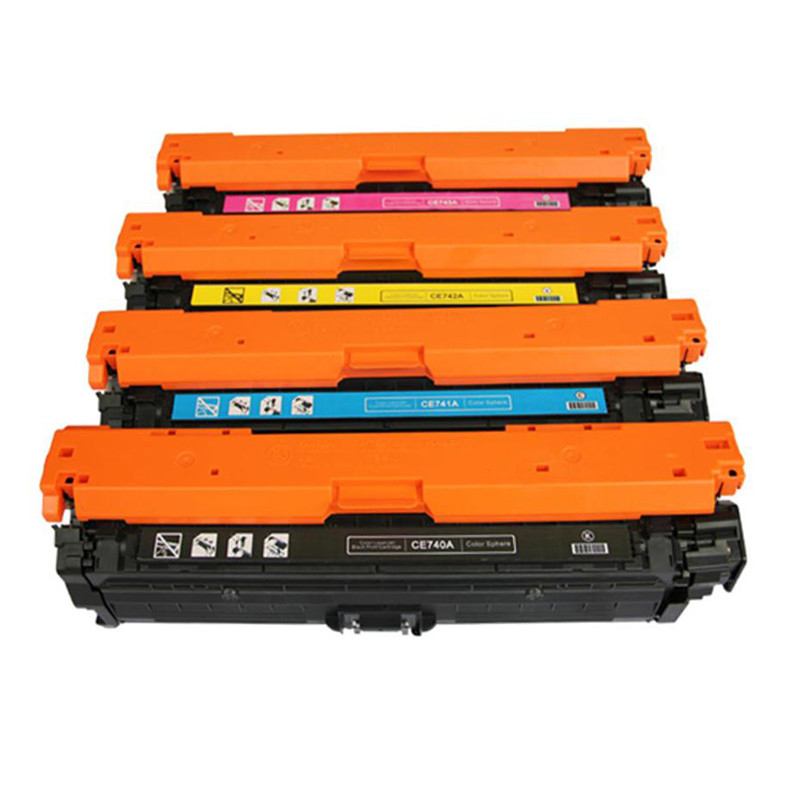 The replacement HP 307A CE740A CE741A CE742A CE743A Colour Toner Cartridges are our hot selling cartridge models, can be print 7000 page for black and 7300 pages for color at 5% average coverage. The parts in th plastic cartridge are made from premium grade recycled virgin empty cartridge; 307A CE740A CE741A CE742A CE743A cartridge are guaranteed in excellent condition and patent free; The toner powder is from top brand to make sure the printing image the same as OEM 307A CE740A CE741A CE742A CE743A toner cartridge. After advanced remanufacturing process and strictly quality control make it an excellent choice for HP Color LaserJet CP5225 Series printer.